Seller will give you a gift certificate in the amount of 9,9 RUB for a positive review of the product purchased. 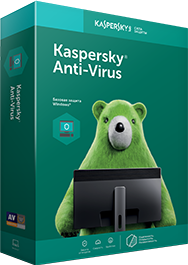 Kaspersky Anti-Virus for 2 PCs for 1 year *: Renewal. The buyer receives only 1 activation code of the form XXXXX-XXXXX-XXXXX-XXXXX. 1 year from the moment of activation (if there is an activation code for previously purchased software). 8 months from the moment of activation (if there is no activation code for previously purchased software). If you do not have the old activation code, be prepared that the new license will be valid for 8 months, not 1 year. ATTENTION!!! Before activating the product, make sure that the system date is set correctly on your computer! Before buying a license, you have the opportunity within 30 days to determine how much this program meets your needs, is suitable for your computer and meets your expectations. Therefore, the seller DOES NOT REFUND costs when selling licenses. All transactions are FINAL. From the moment of payment the amount is not refundable. 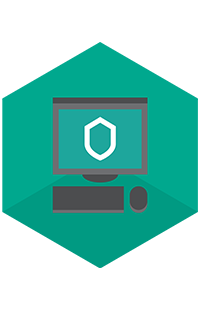 Kaspersky Anti-Virus runs on computers with operating systems: Microsoft Windows 7/8/10. This product is suitable for both renewal and for a new purchase. If you purchase this product NOT for renewal, the license period will be 8 months from the date of activation. The product is intended for buyers from Russia. You can activate the code only within the following countries: Russia. Seller will give you a gift certificate in the amount of 9,9 RUB for a positive review of the product purchased..